GOING TO THE SOURCE, A TEACHER’S THOUGHTS ON TEACHER RETENTION. On occasion I have been blessed to have others willing to share their thoughts and experiences with me. As often as permissible I am honored to share these thoughts and experiences with you. It’s no secret that I have grave concerns about the teaching profession. A decade ago I became involved in educational issues because my wife was working on attaining her Master Degree in education in preparation for entering the teaching profession at the same time as Teach For America was feeding college grads with 6 weeks of prep time into the system. That didn’t sit right with me. Over the years I’ve watched MNPS hemorrhage teachers and do little to stem the bleeding. The trend is not isolated to local entities either. Nationally we are beginning to grapple with a shortage of teachers at the same time it’s generally acknowledged that a quality teacher is the most important element of a child’s education. At some point substantial steps need to be taken. Mary Jo Cramb is a local teacher and an exceptional writer who read one of my posts last year and has been doing her own thinking on the subject. I am grateful that she has chosen Dad Gone Wild as a vehicle to share those thoughts. I loved TC Weber’s blog post on teacher retention from last year. He’s a parent who stands up for teachers, and that is so important because too often people pretend that the interests of these two groups are opposed, when they are not. Everything he says here is true. The profession has been devalued, and we do need a seat at the table. But there’s one aspect of the issue that TC missed entirely: a gender analysis. Teaching is a female dominated profession. Because it is a profession dominated by women, making teaching more family-friendly will improve retention. School districts aren’t just competing with other districts or other professions for teachers. They’re also competing with babies. Teachers drop out of the profession very quickly in the first five years or so. Assuming most new teachers begin their career soon after graduating college, this drop-off coincides almost perfectly with the average age of first childbirth for women. Lots of women who quit teaching do it because they decide to stay home with their children. Therefore, school districts need to make it easier and more attractive to stay in the classroom than to stay home with a child. And that’s a really hard bargain. Babies are hard to beat. A paycheck alone won’t do it, especially a low one. The intangible rewards of teaching, the joy of seeing children learn, aren’t going to keep a young mother in the classroom when she can just as easily watch her own child learn and grow. To compete with the allure of parenting, districts should present teaching as a job that allows workers to be the best parents they can be, a job that encourages them to put their own children first. 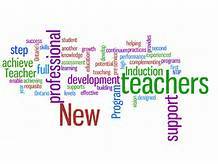 In addition to this retention problem, teaching also has a problem attracting new people to the profession. Especially men. Our male students need male role models, showing them a new vision of masculinity different from the aggressive, dominating figures they see in the media. Luckily, the changes that will keep young mothers teaching and that will attract men to the profession are some of the same things. The younger generation of men wants to be involved fathers, and are less likely to out-earn their wives than previous generations, so they may be equally tempted to drop out of the workforce and stay home with kids, especially if a low teaching salary isn’t enough of a reason to keep working. To attract and retain the best teachers, I propose four improvements to benefits: 1) longer, paid parental leave, 2) options for part-time work, 3) free, high-quality on-site child care, and 4) increased pay. 1) Parental leave in the US is dismal compared to every other country in the world. Until legislators can improve FMLA, employers have to take care of parents so that they can take care of children. Ideally, parents should have at least six months paid time off to care for a new child. The parental leave policy should be gender neutral, allowing parents plenty of time off regardless of whether they give birth, or the circumstances of their birth or adoption. This is how bad the current state of maternity leave for teachers is. When I called to find out exactly what to expect for my most recent maternity leave, I found out that my district’s policy is that FMLA leave is paid only as long as accrued sick time not used up, and as long as the “period of physical disability” lasts. For a vaginal birth, that’s six weeks, for a C-section it’s eight. This makes no sense to me: the district is creating an incentive for mothers to choose to undergo unnecessary surgery. I don’t understand why our health insurance company allows this. Surely the difference they pay for a C-section versus a normal birth is greater than a single paycheck for a teacher. At the very least, this nonsensical policy should be changed so that all women can use at least eight weeks of their earned sick time after giving birth regardless of how they did it. It should go without saying that generous family leave policies should also apply for people with aging parents, ill spouses, or other family care responsibilities. Parental leave is a federal and state issue, so our local district probably won’t be able to use it to make itself more competitive as an employer. It seems likely that teachers won’t get paid parental leave until everybody does. We should advocate for changes to these laws in Congress and the state house. In the meantime, inadequate parental leave policies will continue to hurt teachers, their children, and their students. 2) Among the new mothers I talk to, a part-time job is the holy grail. They want to enjoy lots of time with their kids, to nurse during the day more often than they pump. But they also want to be engaged in meaningful work, to be with adults and use their training and skills. They usually dread the chaos that might result if they are out of the house too long each week, the laundry and dirt that would pile up, the lack of sleep and loss of time for self-care. A part-time job allows a balance that aligns more closely with a parent’s priorities while children are young. I’ve taught part time during summer school (the budget couldn’t pay me for full time work) and loved it. I found the schedule ideal. I kept my kid in full-time child care and enjoyed half a day to myself, exercising, writing, reading, and doing chores. If I could do part time work all year and feel secure in my job and my finances, I would do it in a heartbeat, at least in this stage of my life. I know it would be easier for many teaching jobs to become part time with no loss in quality than it would be for many other jobs to make the same transition. For example, in a high school with an A/B block schedule, two teachers could share one classroom, one teaching on A days and the other on B days. My first year, I taught 3 English classes and 3 Spanish classes. I was like two teachers in one; two part time teachers with different certifications could have done my job. In fact, the flexibility that could be possible with many part-time teachers might be just what principals are looking for in creating their schedules. In order to make the offer of part time work feasible and attractive, health benefits would have to be included, at least on a prorated basis, even for less than half-time work. Our district already has a job-sharing policy. I’d like to see this policy used more frequently, and expanded to increase flexibility. A teacher should be able to work part time independent of a partner teacher who’s splitting her position. As it is, if one teacher wants to go back to working full time, the other will probably have to switch schools or scramble to find a different job-sharing partner. When a teacher begins to get burned out, principals should notice that and offer her the chance to work part time, and then should be celebrated for saving that teacher from becoming another statistic on retention. 3) I’ve written before about the need for free, high-quality, on-site child care in schools. While hooked up to my breast pump, I used to daydream about how nice it would be if I could just walk down the hall, nurse my baby, give him back to a caregiver, and then go teach my next class, instead of listening to the mechanical whirring of my Medela. In addition to the benefit to teachers, another thing to consider is the potential of a school’s child care center to help students as well. I’m imagining a few classrooms at a large high school set aside to care for children of the faculty and staff. Students could assist in the care center and earn elective credits and perhaps certification in early childhood care. Also, students who have children of their own could bring them to the care center as well. At my nontraditional high school, we always have several students who are parents. These students miss a lot of class when the care arrangements they make for their children fall through, and so they’re often in danger of failing and/or dropping out. If schools could offer these students free child care, they would do much to keep them in school, benefiting the young parents and their kids. It would also pay off down the line when these at-risk kids are in school themselves and the high-quality care they received as babies means they aren’t as far behind as they might have been otherwise. Nearby districts are already trying this. Murfreesboro City Schools is offering childcare for its employees. (No mention of students involved in these childcare centers in any way, and they appear to be in a central location rather than in the school buildings.) The district is charging below market rates for it, but they’re still charging, so while it’s a step in the right direction, this situation is not ideal. 4) We live in a country with a large wage gap between men and women. However, within the teaching profession there is a not huge gap between what male and female teachers earn. (Except for the money women lose when they go on unpaid maternity leave, and the fact that men are over-represented in administration relative to women, when compared to the pool of teachers that the administrators come from.) Teaching’s lack of an internal pay gap is mostly because of set salary schedules and collective bargaining. In other professions, much of the extra pay men receive relative to women comes from their negotiating larger starting salaries, and that is not an option in the public school system. The fact that teacher salaries are nonnegotiable is a good thing that I don’t think we should change because it could potentially open up an inequality that wasn’t there before. The impact of the wage gap on the teaching profession is that it is underpaid because it is dominated by women. When women first moved into the teaching profession, salaries went down, and they have largely stayed down. (Read The Teacher Wars: A History of America’s Most Embattled Profession if you don’t believe me.) Generally, men who move into female dominated professions are underpaid relative to men in other professions–and that is the problem. Men see that, and choose not to pursue teaching. To attract men, we have to pay more. It’s as simple as that. Increasing pay will also attract and retain more women. Seventy or eighty years ago, women had very few options for employment, so many of the best and brightest women became teachers. Students benefitted from women’s lack of economic opportunity. As options for women expanded, many of the women who might have become teachers in previous generations became doctors, lawyers, college professors, or business leaders instead. To attract these high-potential women back to public school teaching, salaries will have to improve. At least to the point where the low salary isn’t the first thing that comes to someone’s mind when you tell them you’re a teacher. Increasing pay will also help to retain parents who might otherwise choose to stay home with children. Parents do some math during pregnancy. They look at the monthly salary of the lower earner in the couple (probably the teacher) and compare it with the monthly child care bill they expect to pay. If child care is going to cost more than half of the teaching paycheck, it starts to feel like it would be better to just stay home. This is especially likely to be true if there is more than one child who will require paid child care. It might seem odd for me to call for making teaching a more family-friendly career when it already has a reputation of being pretty family friendly, mostly because of its yearly calendars and daily schedules. However, that’s not because teaching is so perfectly complementary to family life, but because other jobs are even worse. Teachers have a lot of vacation time, and it obviously aligns with their children’s school calendars. However, there is a lot of hidden work that teachers do that others don’t know or think about, they’re so blinded by the idea of summer vacations. For example, in my district there are 10 days this school year when teachers will be in school with no students. Teachers with school age kids will have to scramble to find care for them during those days (just as other parents do), or perhaps bring them to school with them, if allowed. Also, vacation time in the summer is a meaningless benefit if teachers are paid so little that they have to work a second job during that time. Teachers are finished earlier in the afternoon than a typical 9-5 job, and thus available for after-school care for their kids. However, very few teachers go home right after the bell rings. Also, school start and end times do not always align. For example, in my district, high schools’ hours are 7-2, elementary schools are 8-3, and middle schools are 9-4. A middle school teacher with a son in high school would not be able to supervise him after school. A high school teacher with an elementary school daughter would not be able to drop her off to school. The alignment of calendars and hours is not helpful to teaching parents whose kids are not in school yet. Babies and toddlers need full-time care. Without paid parental leave and child care, families are left scrambling during the years when children need their parents the most. Without more support from their employers during that time, workers are more likely to simply opt out, especially if the salary isn’t high enough to be worth the trouble. Yes, the benefits I am asking for here are much, much better than those offered in many other professions. They would make teaching a better job than a lot of other jobs. Isn’t that exactly the point? Isn’t the goal to attract people to the profession and get them to stay? In order to do that, you have to make it more attractive than other professions. You have to look around and see what other jobs aren’t offering, and offer that. Tech companies are famous for their perks because they’re competing for quality workers. Education “reformers” bemoan the quality of teachers without offering high-potential young adults any reason to consider the profession. Besides, these are changes that I think should happen broadly across all workplaces. There should be no gender pay gap, either within professions, or across professions. Every worker deserves paid parental leave. All workplaces should be flexible, with easy ways for people to ramp hours and responsibilities up and down according to changing family responsibilities. Free, high-quality child care should be widely available and not necessarily dependent on one’s employer. Workers should be paid commensurate with their education and experience, so that they can support a family in comfort and security. Instead of trailing other professions and offering only the minimum benefits required to temporarily fill positions, education should lead other professions in this area, competing to attract and keep the best workers by offering impressive salaries and perks. Nashville’s teachers are currently negotiating with the district for a new contract, using the collaborative conferencing process. I hope that the management team will take these ideas into account when they are sitting at the table with our union. Fulfilling our requests will make their jobs easier and better our schools by improving teacher retention and recruitment. We’re not asking for the moon, we’re just asking for what everyone should have, what we need in order to make our work sustainable. Previous REVIEW OF MNPS NEXT AND A LOOK AT THE WEEK AHEAD. I should have waited a couple days to send this, because I just got an idea that would have been great to add in here. I just got something in the mail about my 4-year-old’s preschool enrollment. We signed him up for before and after care because the hours are 8-2 and we both have to be at our jobs before 8 and stay later than 2. It will cost $35 a week. Wouldn’t it be easy and relatively cheap for the district to start offering teachers free before and after care for their own school-age children who are enrolled in MNPS schools that already offer it? A baby step toward free child care. Here are 2 more issues that cause teachers to leave the profession, just off the top of my head. 1. The lack of substitutes–It is almost impossible to take needed time off, due to the lack of subs. Also, I, for one, have had to take on extra students on a nearly weekly basis, due to other teachers being absent without a sub. This doesn’t promote student learning or job satisfaction. Hopefully, the pay increase for subs will help. 2. The loss of trust and autonomy–The craft of teaching is being lost because principals demand formulaic teaching. We recognize and differentiate for student differences, preferences, learning styles, etc. What about allowing teachers to individualize their craft??? I miss the Artisan Teacher push from a few years ago. One of the pillars of the strategic plan is students. Another is community. That means listening to families. It means inviting families into the conversation – and in a meaningful way, not just via poorly designed surveys whose results can be easily massaged to fit a specific agenda. It means having open, honest, thoughtful discussions like these. That doesn’t mean I’m saying parents know best about running a school district or running a classroom. It means I believe parents have a critical role to play in how we as a community define what “achievement” and “success” look like. It’s about a lot more than a test score in my opinion. Metro schools have never been equitably resourced – they exist within the context of decades of systematic discrimination that has denied upward mobility to large segments of our community. Let’s pray that is finally changing. We don’t know what equitable schools look like because we’ve never achieved them. We have to look at new models, in my opinion, and let those models be guided by evidence-based research in the learning sciences, as well as the living experience of the families in our community. Another pillar of the MNPS plan is “our people,” meaning MNPS people. That includes teachers. Teachers’ voices need to be included in these conversations more. […] School and district leaders need to listen to open honest feedback from teachers about what does and does not work in the classroom. When teachers don’t have the resources they need to carry out top-down mandates, it sets them up for failure. By resources I mean things like safe, clean facilities, adequate administrative and support staff, regular meaningful professional development, and yes, higher pay. Our teachers are grossly undervalued. If we are truly going to provide a quality education for every child, we need to **together** as a community define what that means for **all** people involved in the process. That means including everyone at the table.